Fayetteville, WV - Pies & Pints | Great pizza and awesome craft beer - Get Some! JOIN US FOR HAPPY HOUR! Monday – Friday from 3 - 6pm. $1 off select pints & house wines and $2 off appetizers, GET SOME! *Not valid in Indiana*. 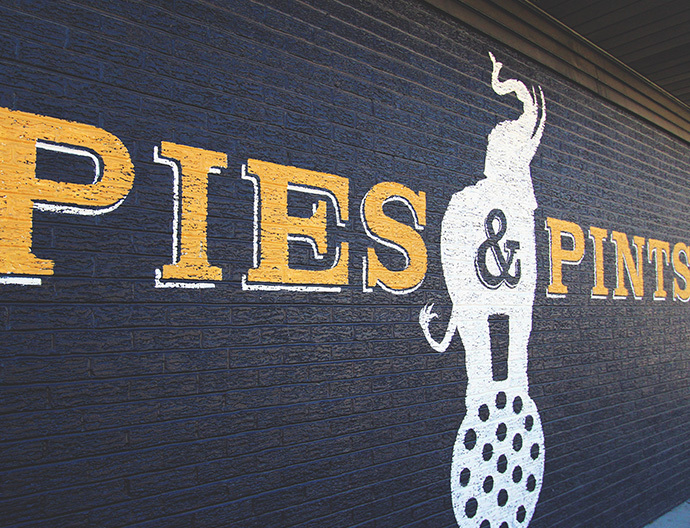 The original cornerstone location of the rapidly growing Pies & Pints family, Fayetteville boasts one of West Virginia’s great historic downtowns, complete with a red brick courthouse and storefront shopping. Pies & Pints restaurant in Fayetteville, West Virginia is the natural choice for lunch or dinner, right on the doorstep of the New River Gorge National Park. Come try some of the best pizza and craft beer your adventurous taste buds have ever experienced. GET SOME! Copyright © 2016. Pies & Pints..